At the fire station or on the fireground, safety must be every fire department’s number one priority. 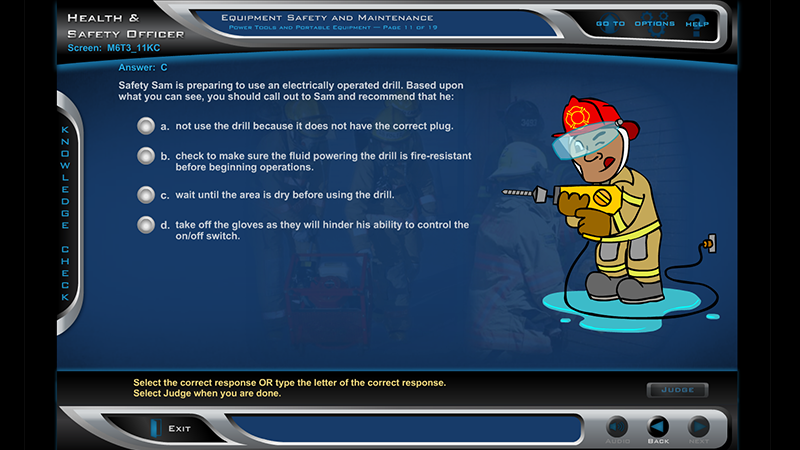 The presence of a qualified Safety Officer has been shown to decrease responder injuries and fatalities by making sure that someone is always available to recognize potentially hazardous situations, inform personnel of hazards, ensure safe working conditions at the fire station and at every incident, report any unsafe working conditions, ensure responders are following health and wellness programs, and implement risk management processes. 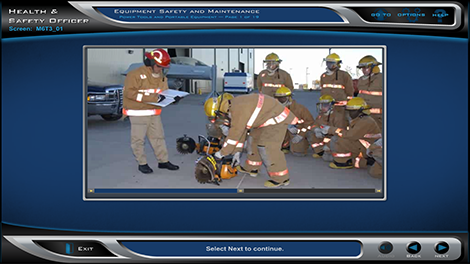 For the Air Force Civil Engineer Support Center, Fire Emergency Services Directorate (AFCEC/CXF), PowerTrain developed a series of three multimedia web-based certification courses to ensure that DoD Safety Officers are properly trained and certified. These courses provide the basic knowledge and skills required to perform their duties, and they satisfy the knowledge portion of the DoD certification training requirements. The ISO and HMSO courses include operations-specific situational exercises that allows for open-ended student input on exercises that tie important concepts together in real-world applications, requiring students to apply what they have learned. 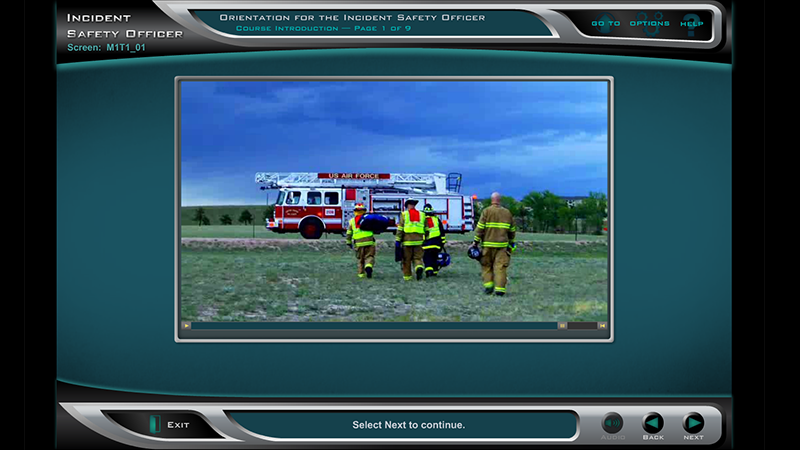 The Safety Officer courses meet the most current standards set forth in National Fire Protection Association (NFPA) 1521, Standard on Fire Department Safety Officer; NFPA 1500, Standard on Fire Department Occupational Safety and Health Program; and NFPA 472, Standard for Competencies of Responders to Hazardous Materials/Weapons of Mass Destruction Incidents. 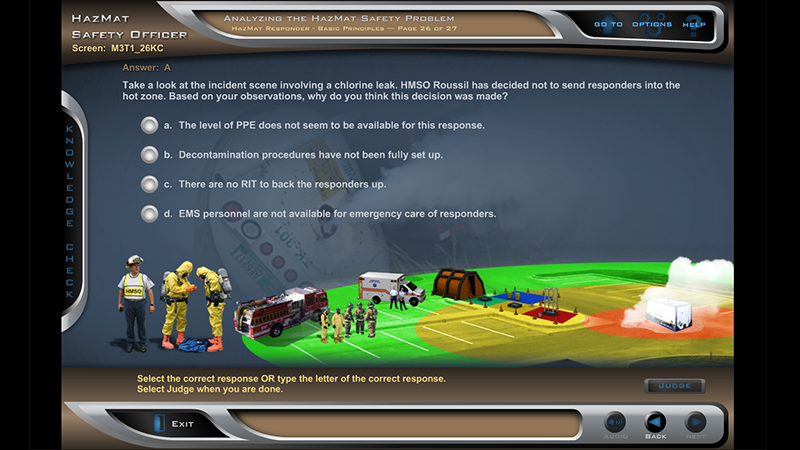 The Health and Safety Officer course received two Bronze Horizon Interactive Awards in Training/E-Learning and Government Agency.